A Himalayan salt candle releases healthy negative ions to cleanse and improve the quality and freshness of the air you breathe and the beautiful glow creates a romantic atmosphere of tranquility. 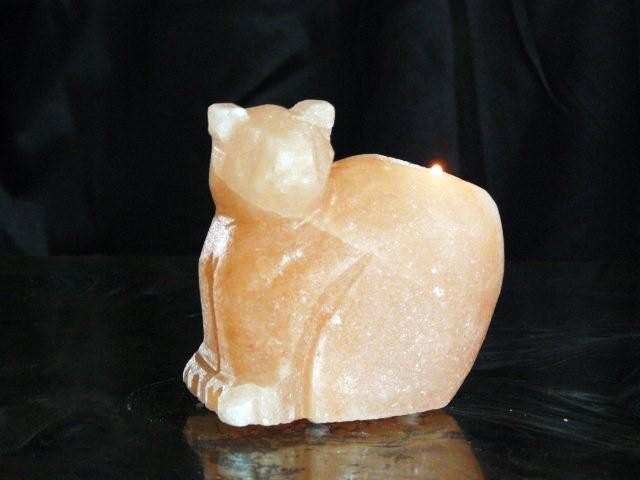 The salt candle is carefully crafted by hand to retain the unique, beautiful and natural shape of the rock. The result is a rare crystal with such beautiful colors ranging from off-white to apricot and warm pink. 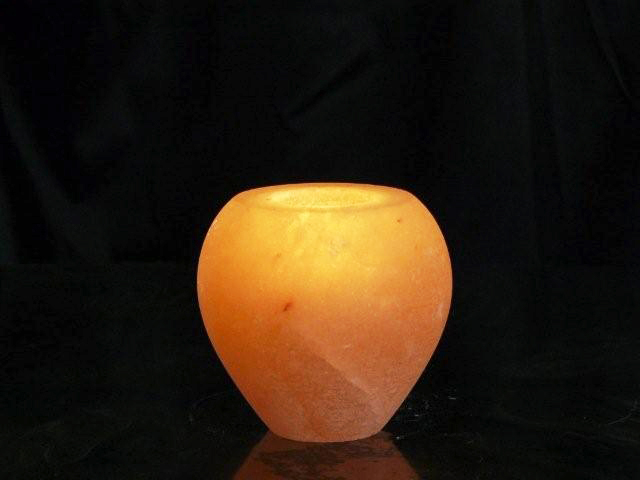 The salt candle colors, weights and shapes may vary, since all salt candles are one of a kind. With time, they will not reduce in size, color or shape, and will not loose weight, or their ionizing effect! 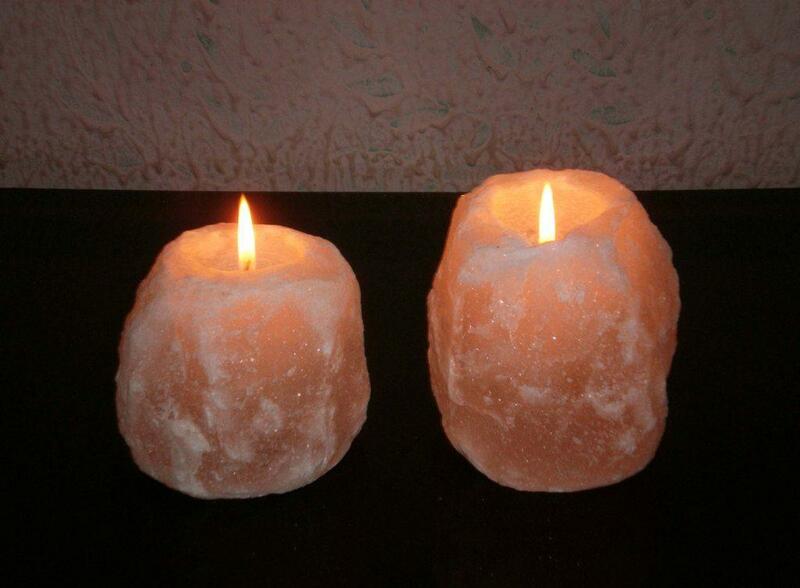 We offer various natural Himalayan Salt Candle Holders and Salt Lamp Crystals in an array of sizes and designs, along with numerous Himalayan Salt healthy naturals.